OK, you're me. You're driving along an unfamiliar road and you see this great handmade sign with an old-school arrow pointing down a crossroads, up a hill into the rising sun. 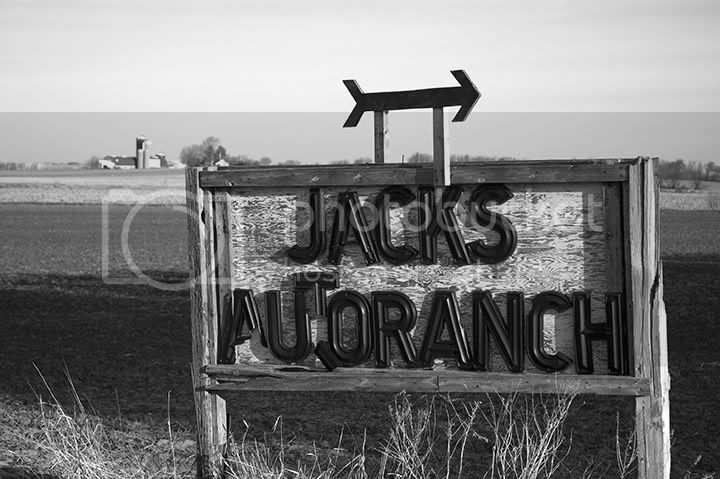 I really wasn't sure what Jack meant by an "Auto Ranch". After taking pictures of the first sign, I crested the hill into the brilliant sunlight, and there was the Ranch. Acres and acres of dead cars. Stacked on top of one another. Junkyards are like nothing else. If you read this blog regularly (thank you! ), you've probably experienced one. If you haven't, it's kind of hard to imagine. The thing about it is, although it appears to be just a sea of random smashed up and rusting vehicles, there is a system to it, even if it's not visible except for the hand-written notes and numbers on some of the cars. Things like "engine runs - do NOT pull parts". And "39 DESOTO HAVE MOST PARTS TO COMPLETE"
Jack has been amassing wrecked and broken down cars on the Ranch for 40 years. I'm sure he could give a close guess at how many there are, but when you are walking down one of "main roads", it appears endless. 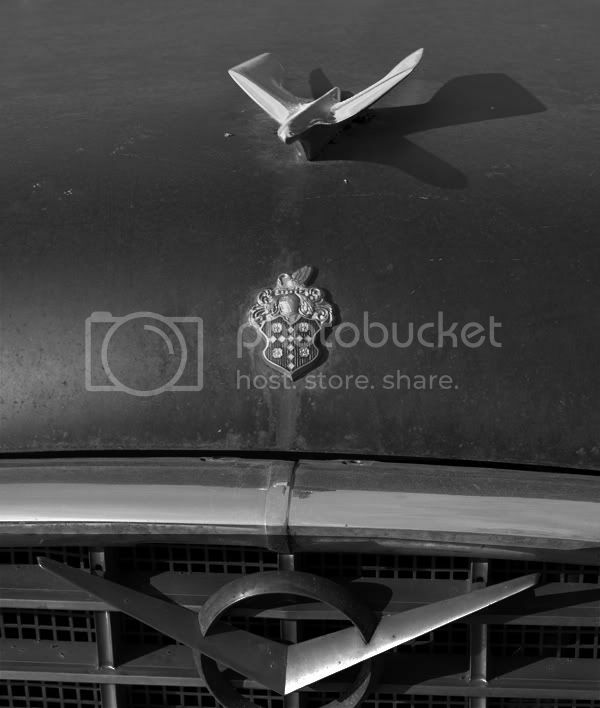 These are pictures I made of a 1956 Packard Executive. 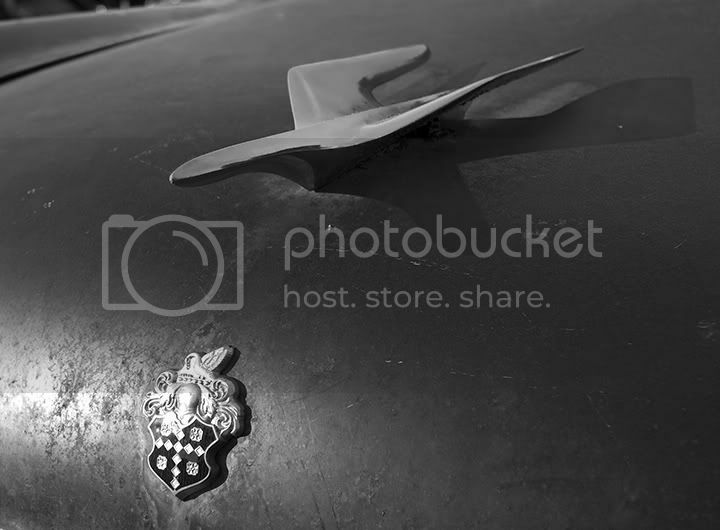 Billed as a car "for the young man on the way up", its body is clung with chrome decoration, mixing themes of jet-age stylized bird/airplanes, sharp edge geometric sculptures and heraldic crests thrown in for good measure. What a monstrosity. 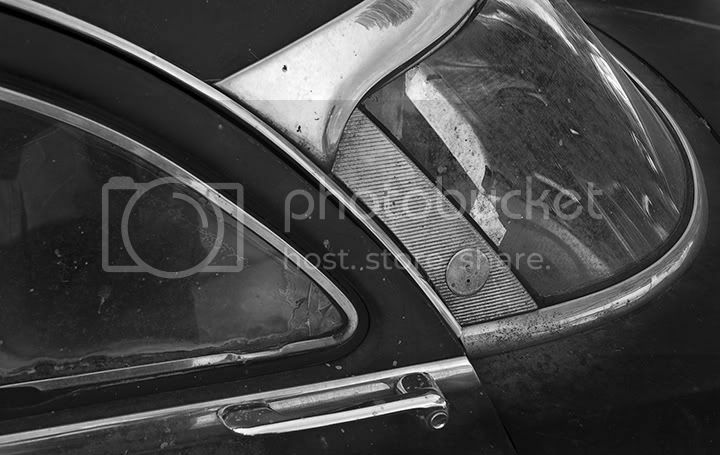 This car epitomises the gratuitous styling excesses of the 1950s, and was really the last gasp of a once-great automobile manufacturer on the way down. Only 2,815 Packard Executives were built. The final day of production at Packard's plant on Conner Avenue in Detroit was June 25, 1956. 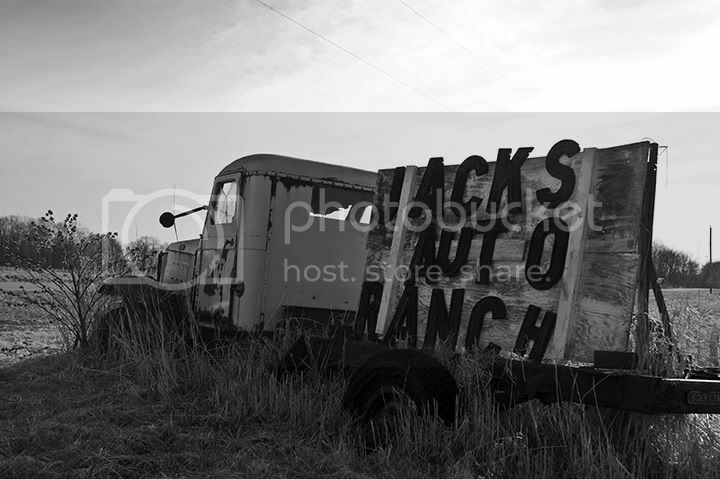 Jack has a Web site at, yes, www.jacksautoranch.com. Thanks, Jack for letting me poke around the Ranch. More pictures later.